Hello and Welcome to our preview for the Perth Scorchers vs Adelaide strikers match. 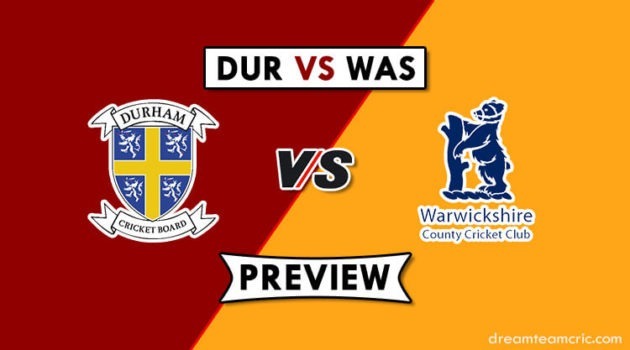 We are covering PS vs ADS Dream 11 Team Prediction, Preview and Probable Playing XI for the Big Bash League 2018-19 match. The match is to be played at Adelaide Oval. Perth Scorchers are on the bottom of the points table with four wins and nine losses. However, They won their last match against Melbourne Stars by 27 runs. Batting first, Josh Inglis and Klinger gave a good start to the team and later Ashton Turner played an attacking knock of 69 runs along with Bancroft who scored 44 runs to give a target of 183 to stars. Nathan Coulter-Nile and Matthew Kelly took three wickets each while Andrew Tye took two scalps to successfully defend the target. They will hope to end their disastrous run this season on a good note by winning their last encounter. Adelaide Strikers are just above Scorchers with five wins and eight losses. They lost their last match to Brisbane Heat by 6 wickets. Batting first, They gave a target of 177 with help of handy contributions from all batsmen. In response, Heat chased the target comfortably with Peter Siddle being top performer taking two scalps. Defending champions will hope to end the season with a win and be motivated to reclaim the title next year. PS vs ADS, 54th Match, Big Bash League 2018-19. Mitch Marsh (c), Ashton Turner (vc), Cameron Bancroft, Jason Behrendorff, Liam Guthrie, Nick Hobson, Matt Kelly, Andrew Tye, Josh Inglis, Clint Hinchliffe, Michael Klinger, Nathan Coulter-Nile, Sean Terry. Rashid Khan, Michael Neser, Cameron Valente, Jake Weatherald, Jon Wells, Liam O’Connor, Ben Laughlin, Alex Carey, Wes Agar, Harry Nielsen, Peter Siddle, Travis Head (c), Billy Stanlake. They have announced 13 men squad for the match with one change. Sean Terry replaces Hilton Cartwright in the squad. M Klinger and Josh Inglis can open the innings. Ashton Turner, Cam Bancroft, Mitch Marsh and Nick Hobson will follow them. Clint Hinchliffe and Nathan Coulter-Nile will play the role of finisher. The team can give a chance to Liam Gurthie or Sean Terry as they are playing their last match of the season with no relevance for qualification. Chances of the same are less. They have announced 13-player squad for the match. Travis Head and Billy Stanlake return in the squad replacing Colin Ingram and Jake Lehmann. Travis Head is back from national duty while Colin Ingram has gone back to his nation. Alex Carey and Jake Weatherald will open the innings. Travis Head, Jon Wells and Harry Nielsen will follow them. M Neser, Rashid and Valente will play the role of an allrounder. M Neser, P Siddle, B Stanlake and Ben Laughlin will spearhead the pace attack along with C Valente while Rashid Khan will be the key spinner. Travis Head can support him. Wes Agar and Liam O’Connor are likely to miss out in the playing XI from the squad. Michael Klinger, Josh Inglis, Ashton Turner, Cameron Bancroft (wk), Mitch Marsh (c), Nick Hobson, Clint Hinchliffe, Nathan Coulter-Nile, Andrew Tye, Matt Kelly, Jason Behrendorff. In wicketkeeper Alex Carey and C Bancroft are good, however we can try J Inglis in grand league teams. Captain and Vc choices: Tarvis Head, Alex Carey, A Turner, M Klinger, Rashid Khan, A Tye, C Bancroft. 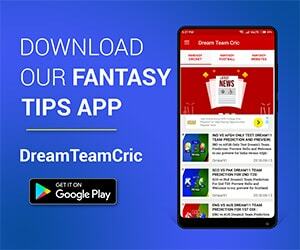 If you liked PS vs ADS Dream 11 prediction, then follow us on Twitter for Latest Cricket News and Grand League Teams.